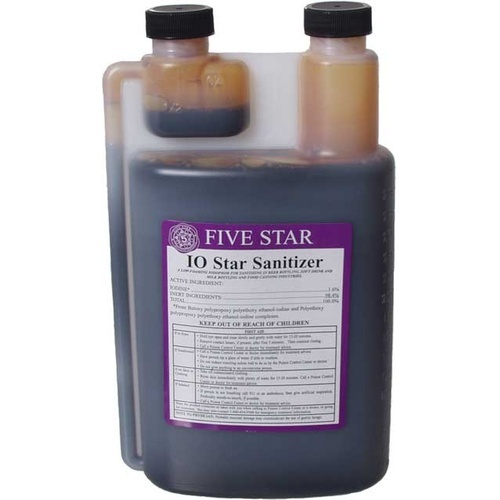 Why do homebrewers love IOStar Sanitizer? It’s quick acting, food safe, and will NOT impart flavors into your brew. It’s a favorite to use for foam free bottling. and great for glass carboys because it doesn’t make them slippery. IOStar is an iodine based no-rinse sanitizer. 1-2 minute contact time when used in the concentration of 1oz per 5 gallons. It will slightly stain vinyl tubing and some plastic parts over time but will not affect the functionality of the tubing at all.